At first glance, the Ganados just look like innocuous old dudes. You could mistake them for somebody’s grandpa. Albeit not the kind of grandpa who eats mint imperials, and tells wild stories about his past which may or may not be true. This is the kind of grandpa who SPROUTS BIG OL’ TENTACLE-SPIKES WHERE HIS HEAD USED TO BE. Resident Evil 4, as we know, eschewed that whole zombies-shuffling-about-in-shadowy-corners thing. It was a fancy new blend of survival horror and TPS. Dispensing with those static camera angles and cumbersome controls in favour of much more dynamic and actiontastic gameplay. What did all of this mean? It meant that festering, hobbling simpletons wouldn’t do as opponents any longer. After all, our hero Leon can now run properly, and use a laser sight to aim his gun wherever he darn well pleases. Could the zombies of yore compete with those kinds of tricks? They couldn’t. And so, the Ganados were born. From the first moment Mr. Scott Kennedy shows a villager a photograph of the kidnapped Ashley, he knows he’s dealing with some badasses right here (it was that axe waved at his forehead that tipped him off, our hero is quick on the uptake like that). These guys are aggressive, strong and beardy, and they don’t take kindly to strangers. Leon has no idea what he’s let himself in for. The Ganados are the first enemies you encounter, in the game’s opening area, Pueblo (the village). 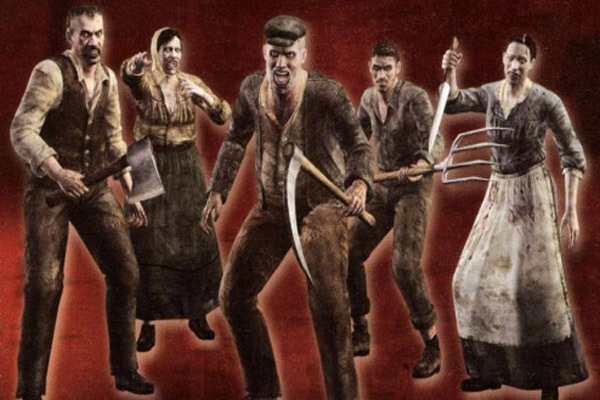 They are humans, ‘possessed’ by Resident Evil 4‘s new spin on Umbrella’s viruses: the Las Plagas parasite. It has a similar effect to those, making the infected aggressive and just generally worse house guests, but without the whole mutate-y, growing-huge-slavering-fangs-out-of-my-chest effect the series is used to. Most importantly, they lose little of their human cunning. As you venture through their domain, they will hunt you intelligently. Co-ordinating their efforts, raising ladders and climbing through windows if you are taking refuge in a building. They also wield rudimentary weapons, butcher knives and pitchforks and such. There are other horrors in the game, certainly. The Zealots who dwell in the castle, the army dudes on the island, and a couple of monsters to boot. 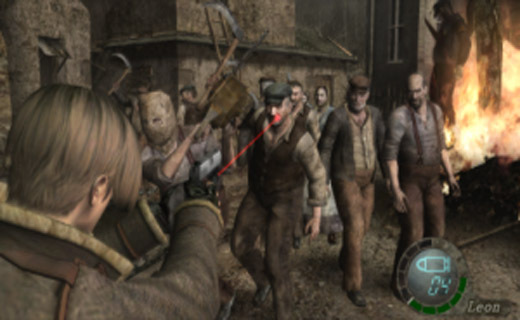 Nevertheless, the Ganados were our first introduction to a new breed of Resident Evil foe, and a memorable one at that. Next articleDownload the Watch Dogs nVidia and AMD Drivers Here!